First introduced in 1882, Fougère Royale completely revolutionized the world of perfumes and established modern perfumery as we know it today. 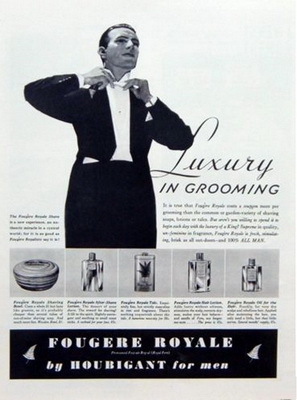 Fougère Royale was the first “fougère” (or fern-like) perfume ever created, and it established a completely new fragrance family, which remains the most popular one in men’s fragrances. Top notes are lavender, clary sage and bergamot; middle notes are carnation, orchid, heliotrope, rose and geranium; base notes are tonka bean, musk, vanilla, oakmoss and coumarin. Fougère Royale smells “dry and bracing, with a wonderful harmony created by the lavender, heliotrope, oakmoss and vanilla.” Like all Fougères, this one has "warmth and dryness, sweet bitter woods, and soft floral touches." 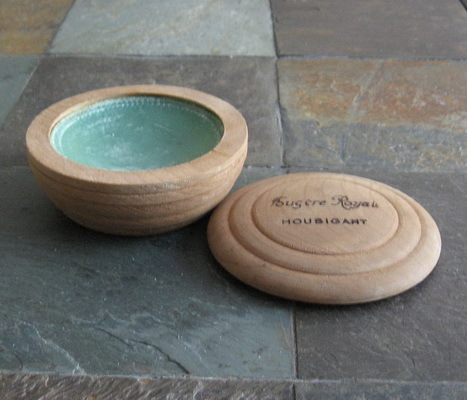 Houbigant was a perfume manufacturer founded in Paris, France in 1775 by Jean-François Houbigant of Grasse (1752–1807), originally selling gloves, perfumes, and bridal bouquets. The original shop, called "A la Corbeille de Fleurs", was in the rue du Faubourg Saint-Honoré. 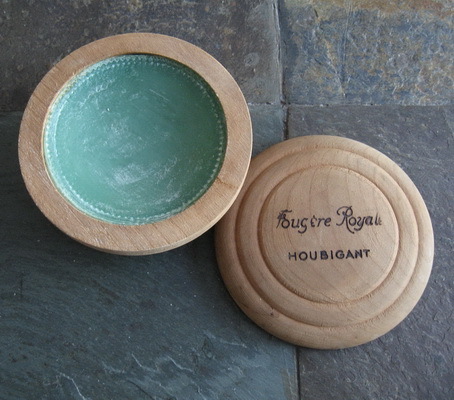 Over the centuries, the House of Houbigant became perfumer to the royal courts of Europe (among others Napoleon, Napoleon III, Alexander III of Russia, and Queen Victoria). This shaving soap is no longer made. 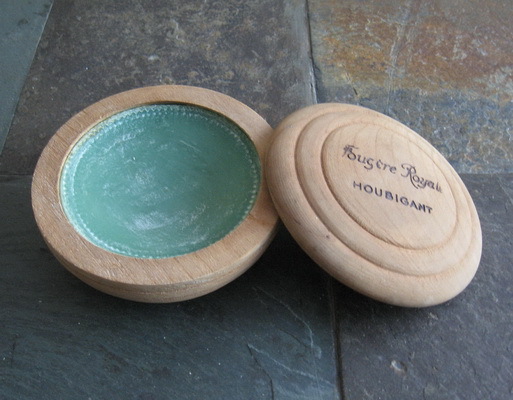 Those of you who are knowledgeable about shaving soaps know well that Fougère Royale very rarely becomes available. Yes, it is expensive, but it is fantastic, and there is nothing else like it. All of its qualities - scent, lather, skin care - are wonderful, and overall it is the equal of or superior to the best vintage English soaps such as Floris and Penhaligon's. Just Wow...That's all I have to say! Love to take just a peek into John's inventory...Who knows what's lurking beneath the sink???? Wow ... these rarely come up for sale, and John's obviously a seller that can be trusted ... GLWTS and congratulations in advance to the fortunate buyer. VERY scarce. John is a superb Gent and has great taste and he SHIPS sold product FAST! Impressive soap, never even saw one of these for sale before! makes a big difference who you are! It's been sold, folks. Thanks to the buyer and to TSN. I wondered why it took so long everyone was speaking so highly and no one was buying! I would've plunked it down in a heartbeat if I had it. I prefer vintage products when I can get them and the reputation of Houbigant along with a recommendation from John(which carries much weight with me) had me sold and reaching into my empty pockets before I had even finished reading it. Thanks for the kind words, folks. I hope the buyer likes it as much as I did.